The first step is to express your desire to be sent on mission for two years. This is done by filling out a Volunteer Profile (in which you explain why you want to become a volunteer) and submitting your resume. Click here to start filling your application. You will then be contacted for a phone discussion. 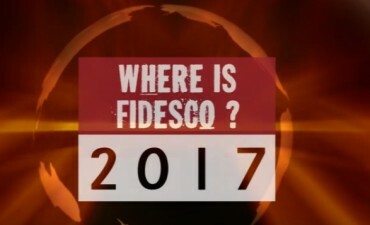 During that conversation, we clarify with you any question or concern that either Fidesco or you may have. If you wish to take the next step, we will send you an invitation to a discernment weekend, where you will receive information which will help you to further discern your desire to go on mission. We will also have an open discussion to review your expectations, education, experience and motivation, and address any question that you may have. The purpose is for both Fidesco and the volunteer to know each other better, so as to ensure that the match is good, and success in your mission. If both, Fidesco and the candidate, decide to continue the process, Fidesco will propose a match between the candidate and a mission requirement. If you accept your assignment, you are a volunteer. Congratulations! At that time, you will be given contacts of current or former volunteers, country coordinators, so that you have the resources to prepare yourself and study your country of assignment. Further formation will also be provided. You will receive final training during a “send off” session in Paray-le-Monial, in central France, where you will also meet all the volunteers from around the world who will be leaving at the same time as you. A typical group is around 80 people. To start filling out the Volunteer Profile/application, please click here.